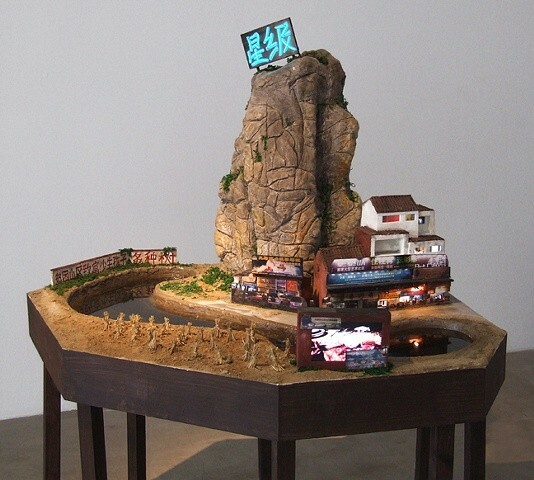 wood, paint, inkjet prints, electroluminescent wire, lights, fake landscaping, water, media player, lcd screen, speakers, transformer. Yangshuo is a beautiful tourist destination in the south of China. The saying on the wall says "If the poor place wants to be rich, planting more trees but birth less baby." The sign on the mountain says the word stars.